First off, let me say thanks to everyone here at TiGO for letting me post. 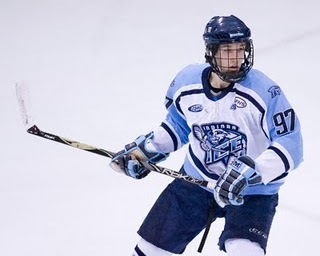 In this, we will take a look at a handful of potential picks that the Penguins could make with the 20th pick in the first round and also take a look at my first round mock draft. So lets get this started with the potential picks for the Pens. For this, I only included players that were available in my mock draft when it was the Pens pick. Therefore, there won't be any profiles for players picked #1-19 even though some could be possible if they were to drop in the actual draft. Scout's Take: "A high-end player, intelligent and responsible at both ends of the ice. He's got good moves and backchecks hard, an all around player. 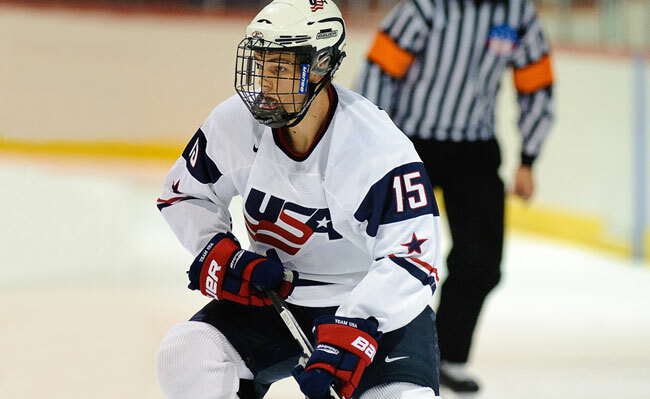 Maybe similar to Pavel Datsyuk in the way he chips in for a highly skilled team." My Take: The Pens lack depth at the Wings, so adding one in the first round might not be a bad move, let alone a two-way winger such as Galiev. Scout's Take: "He is fast, skillful and talented. He is also a leader on the ice, he was captain of the Russian Under-18 team and he had an excellent tournament. He is very skilled." My Take: Being a captain at a young age mean that you lead well when amongst your peers. How this leadership would transfer to the North American game or an NHL club would remain to be seen. Drafting another center in the first round could spell the beginning of the end for Malkin at that position or on the Pens roster. Scout's Take: "He plays the game a lot like Jordan Leopold. He plays weaving and diving, sneaking and thinking, gaining the zone and moving the puck ahead right on the tape to a guy. He's skilled and he's really come a long way in his development." My Take: ...A lot like Jordan Leopold. As a Pens fan, the book is still out on whether the Leopold trade was good for the Pens, and with the system pretty filled at D, this pick could be suprising to some, or a sfe pick in case Goligoski or Letang doesn't pan out within the duration of their contract. Scout's Take: "Big, strapping center in the Minnesota High School league. Going to North Dakota next year and destined to be an NHL'er with a 6-2 frame, 205 pound build. Guaranteed, hard-skating power forward." My Take: Taking a player right out of high school can be a big risk, especially in the first round. Seeing them make the jump right to the NCAA instead of Junior's can also be a shock to the system. The Pens tend to stay away from high school and international players in the early rounds, so a pick like this would be considered a suprise to some. My Take: Do the Penguins really need a goalie? The answer is probabily not, but with the years it takes to come through the ranks to the NHL as any pick outside the top 5 or 10 it might turn out to be a wise pick. Within that time, Fleury's contract might be up and not extended, so to have a possible top level goalie in the system would be a trick Shero could have up his sleeve. Scout's Take: "Dominates faceoffs and in freshman year, is an excellent young prospect, a really good young skater and his ability to dominate a game at his level is truly impressive." My Take: You don't see many college prospects in a draft, so to fine one of Pitlick's level is rare. With that said, the organization has depth down the middle, but by the time most of these players are ready, the contracts of "The Core" will be expired or expiring. 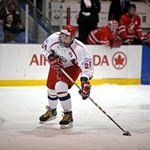 Scout's Take: "Vladimir is very effective around the net with his excellent overall skill level and vision. He is a strong, mobile skater with a quick shot. He is not only a sniper, but also a good passer and playmaker. There are no real weaknesses in his overall game and he will be one of the most interesting prospects at the draft." My Take: He would be the prospect most likely to have an impact right away on the team, but the NHL/KHL turmoil could possibly hold up and chance of him coming over in the near future. Alright, so there is your quick look at some of the possible players the Pens could take when they are on the clock. Now, lets get to the mock draft and see who I have them selecting. So there you have it, feel free to debate this all you want, cause I know just as well as you that the draft is a crapshoot and that most of these will probabily be wrong.